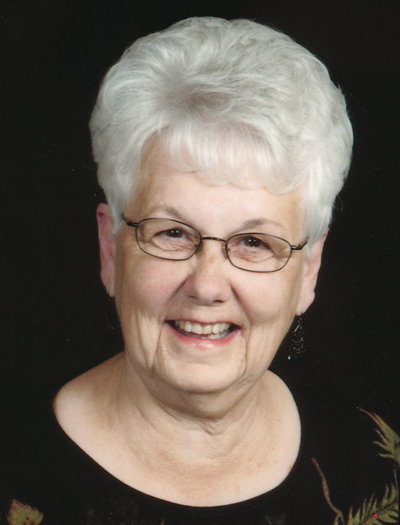 FARIBAULT — Shirley A. Staupe, age 78 of Faribault, MN passed away on Tuesday, April 9, 2019 at Pathways at the Three Links Care Center in Northfield, MN following an extended illness. Memorial Mass of Christian Burial will be held on Monday, April 15, 2019 at 11:00 a.m. at the Church of St. Patrick in Shieldsville, 7525 Dodd Road, Faribault. Memorial visitation will be held on Monday at the church from 9:30 – 11:00 a.m.
Interment will be held on Tuesday, April 16th at 11:00 a.m. at the St. Mary’s Cemetery in Sleepy Eye, MN. Arrangements are with the Parker Kohl Funeral Home of Faribault. Shirley Ann was born on May 22, 1940 in Sleepy Eye, Minnesota to Victor P. and Veronica (Steffl) Weicherding. She graduated from St. Mary’s High School in 1958. She attended Mankato Business School. Shirley married Leonard L. Staupe on May 12, 1962 at St. Mary’s Rectory. They later moved to Sanborn, then Faribault and eventually to Morristown. She was employed at First National Bank in Sleepy Eye. She also worked and later retired as a paraprofessional from Lincoln Elementary school in Faribault. She was a member of St. Patrick Church, Shieldsville and a member of Council of Catholic Women. She volunteered at church and school. She enjoyed reading and doing embroidery work, was an avid walker and enjoyed being with her family and friends. She is survived by her husband Len; her sons, Lee (and Stacy) of Owatonna, MN, Lonnie (and Carrie) of Thornton, CO, and Scott (and Lisa) of Minneapolis, MN; her grandchildren, Lily, Tyler, Veronica, Chris, Nick, Evan and Luke and step-grandchildren, Andy Kuehl, and Brittany Bertram (Kuehl); great grandsons, Max, Roman and Arlo; and sister-in-law, Patsy Weicherding. She is preceded in death by her parents, Veronica and Victor Weicherding; by her sister, LaDonna (and Vernard) Domeier; brother, Jerome Weicherding; mother-in-law, Elsie Staupe and father-in-law Marvin Staupe; brother-in-law, Steve Staupe; and sisters-in-laws, Marcia Staupe and Velma Vink.